True to that motto, we at Franz Esletzbichler Straßenausrüstung e.U. are always rapidly on the scene following accidents. 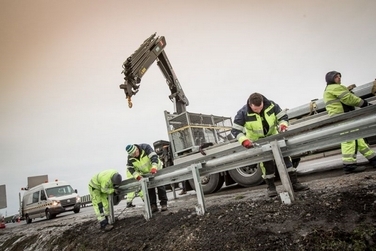 We repair crash barriers, traffic signs, wildlife fences, noise barriers, crash barriers and concrete guide walls, thereby helping road maintenance services and road users. 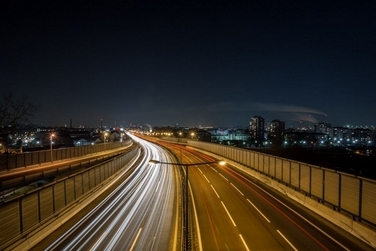 We work professionally, flexibly and reliably to make it safe to travel on Austria’s roads. In addition to our main activity, the dismantling and re-assembly of infrastructure facilities, we also cover the demand for road and parking markings. Back in 2014, a quality management system was introduced and has since then been implemented in order to ensure that we meet the requirements of ISO 9001: 2008. Our fleet of vehicles optimally equips us for all operations on Austria’s motorways, dual carriageways and main roads. Our range of services are extensive enough to cover all the many varieties of damage to road installations.